Zayn Malik has paid tribute to One Direction at this year’s Asian Awards ceremony, where he made his first solo appearance since leaving the band. 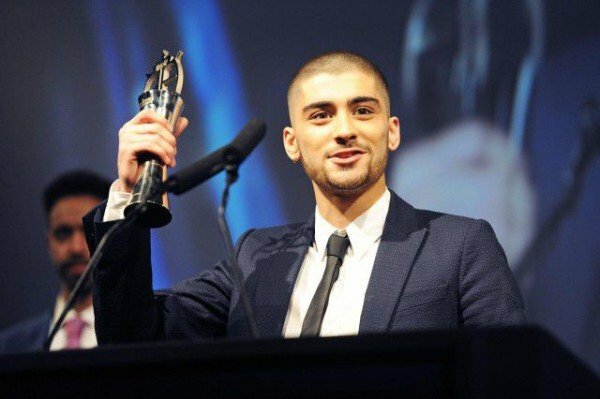 Zayn Malik, 22, was presented with the award for Outstanding Contribution to Music at the fifth annual Asian Awards, held at London’s Grosvenor House Hotel. Asian Awards celebrate excellence across the global Pan-Asian community. Zayn Malik said he had an “amazing” time as a member of the pop band. He also said he was “not really a guy of many words”. Zayn Malik added: “I’d also like to take this moment to thank four of the best guys that I ever met whilst being in the band and doing all the amazing things that I did. Zayn Malik left One Direction last month after returning to the UK from the band’s tour having been “signed off with stress”.